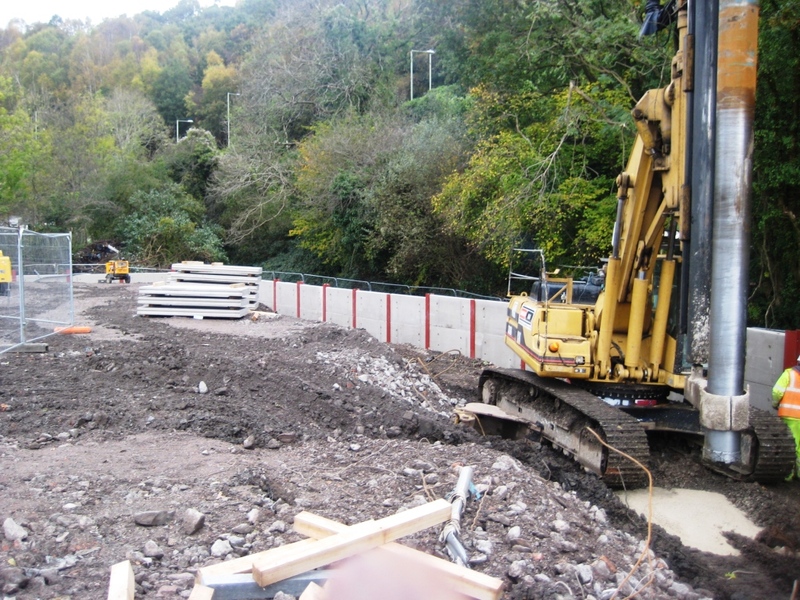 DAWSON-WAM were contracted by Kier Western to install a 420m king post retaining wall for a new Sainsburys supermarket and filling station in Pontypridd in the scenic Welsh Valleys. The site was the previous location of the Brown Lennox “Chainworks” facility and was bounded by a disused canal, which is safeguarded by a local conservation group, and to the East and the busy A470 on the West. As a result of the iron ore smelting and manufacture of chains on the site there was significant depths of made ground which consisted mainly of slag laced with pig iron and discarded chain links. 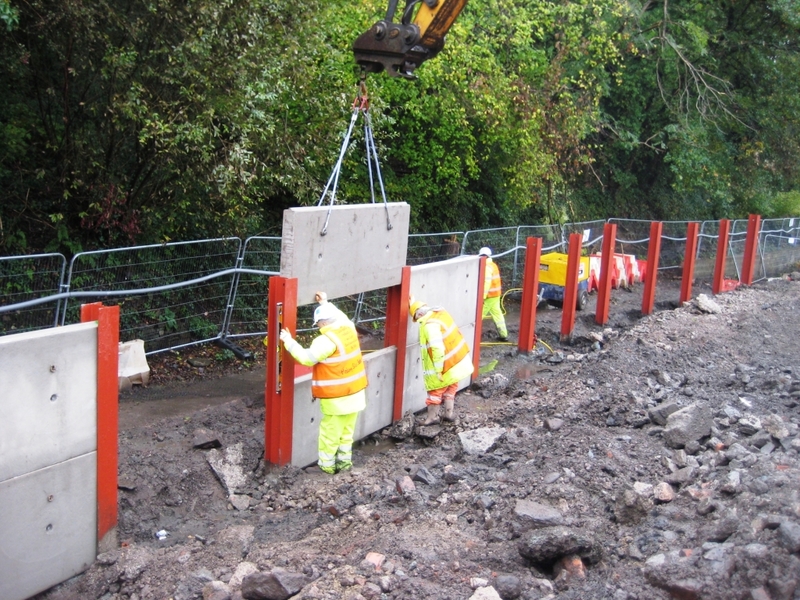 King posts were installed using DAWSON-WAMs cased CFA piling rig, in some cases into the very strong underlying sandstone, and retained heights of up to 3.5m. 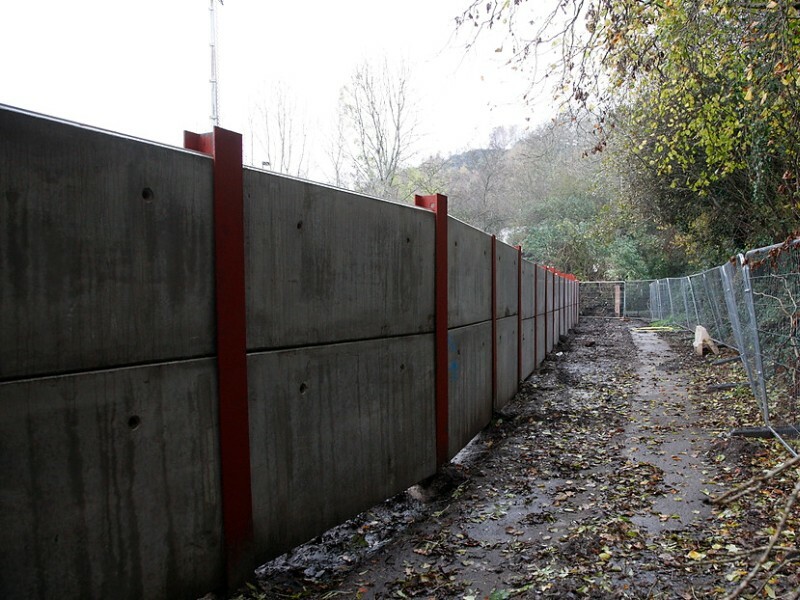 Concrete panels were fabricated off site and brought to site as required to minimise the storage requirement on site. The piling was made more difficult due to two sets of 132kV power lines which bisected the site. 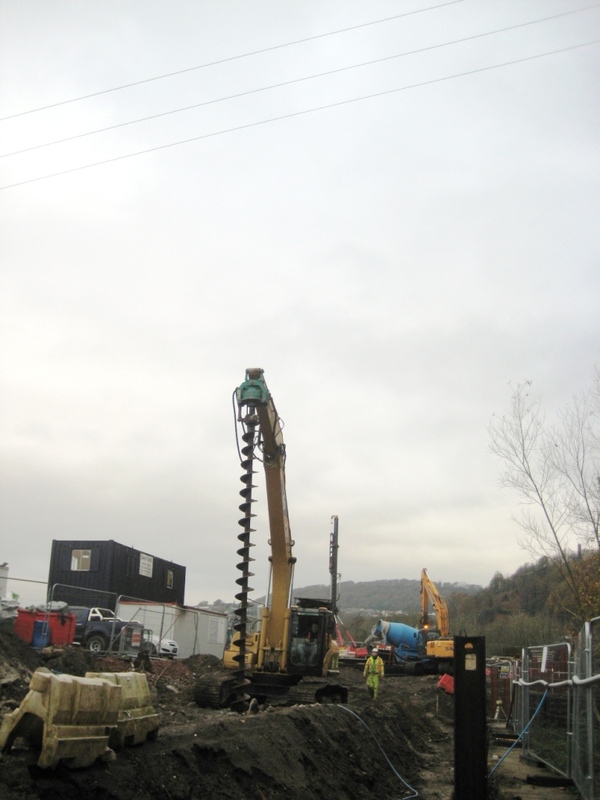 The piling under the higher set of power lines was completed with DAWSON-WAMs piling rig with a head room restrictor fitted which cut out all hydraulics once the rig reached a certain height. The piling under the lower power lines was completed with an excavator mounted auger which acted like a conventional CFA system as concrete was able to be pumped through the stem of the auger. 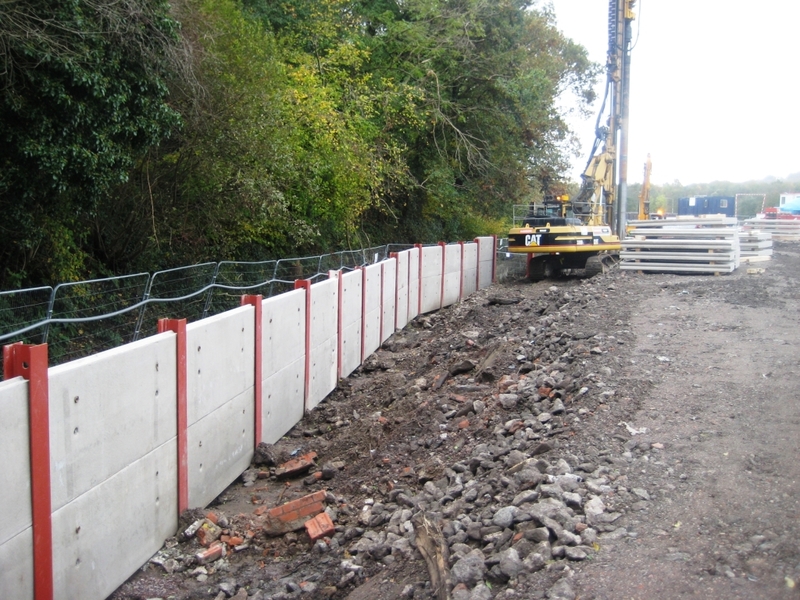 All 420m of the wall was completed on time in a 7 week programme which was part of an intense fast track design and build project for Kier Western. 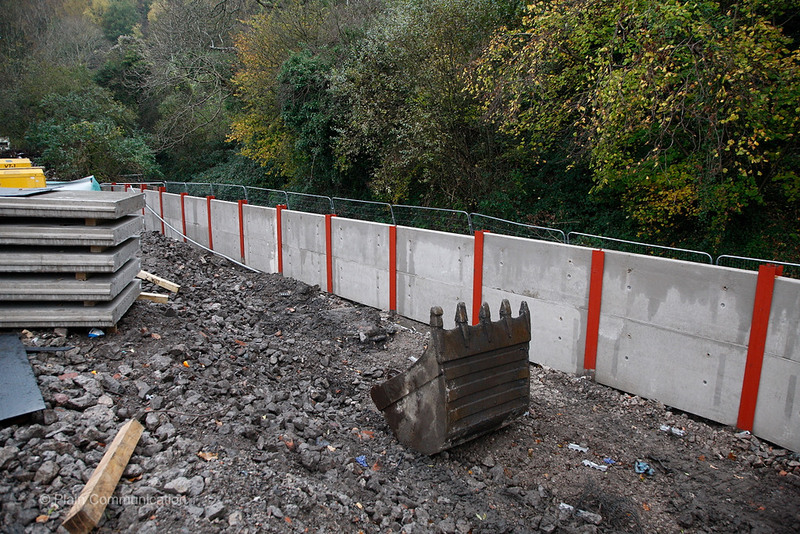 DAWSON-WAM are specialist civil engineering and piling contractors with operations throughout the UK and Ireland.